The delivery of a species-specific FIT algorithm for monitoring, providing a cost-effective and non-invasive tool to monitor endangered species. The FIT software, and JMP software on which it runs, can be provided free of charge for non-profits and small conservation organisations that can’t afford to pay. FIT for local communities. FIT is particularly accessible to local stakeholders e.g. farmers (game/livestock owners), indigenous group and hunters that can be engaged and included in conservation efforts for the benefit of the species, and thus reduce local human-carnivore conflict. FIT provides a tool for collaboration with other groups. 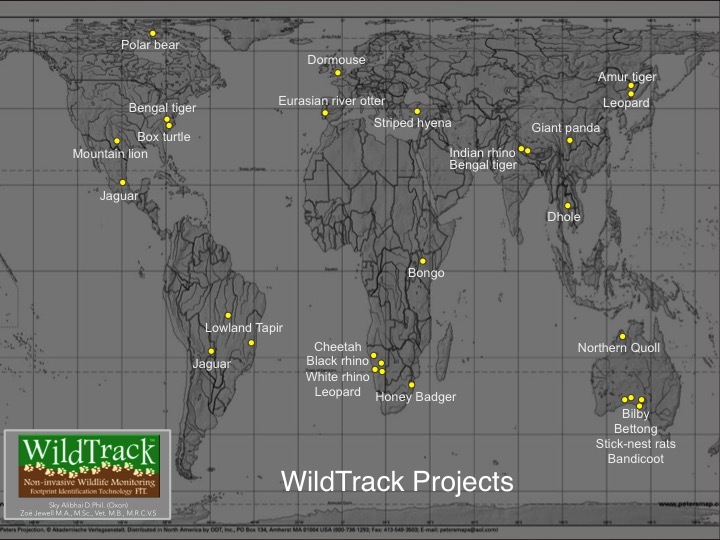 Field projects will be able to search for zoos that might be interested in collaboration, and reach out to other field-groups interested in collaboration, perhaps to monitor animals across traditional boundaries.